Time for some fresh shades? In this buyer’s guide, we’ll review 6 of the best sunglasses for tennis in 2019. We’ll also outline some key things to consider when buying, so that you can choose the right pair of sunglasses for your specific needs. No time to spare? Check out this handy table to quickly compare our top picks. First, we’ll review 6 of the best tennis sunglasses on the market right now. 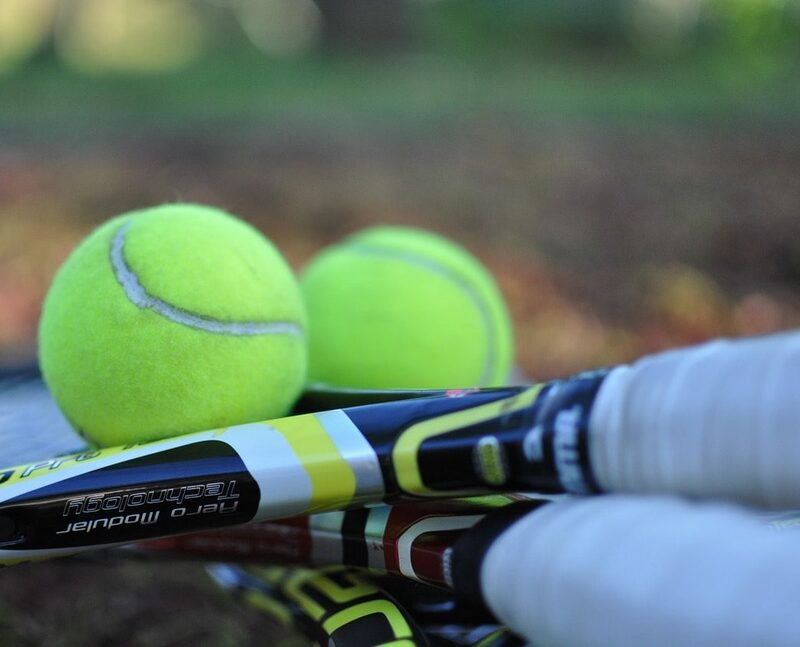 When playing tennis, eliminating glare in your field of view is probably your number one concern. By filtering out excess light, you can more quickly spot the ball and notice your opponent’s strokes earlier, making it easier to make a great return. The Tifosi Tyrant 2.0 does an awesome job at filtering glare, in large part due to the shape of the lenses. These glasses wrap around your entire eye, ensuring there are no gaps for light to seep in. Plus, the lenses are crystal-clear and distortion-free, allowing you to instantly spot any spin on your opponent’s shots. However, there’s another hidden benefit to these sunglasses. The Tyrant 2.0 filters out 100% of UV light, reducing your chances of damaging your retina through exposure to the sun’s rays. Although UV blocking might not improve your shots, it’s a super important thing to have – especially if you play a lot of tennis. What’s more, the nose and earpieces are adjustable, meaning these glasses are very comfortable to wear. They also do a great job staying on your head (even when you smash the ball), because the temples are made of rubber. Plus, the lenses are vented, meaning they don’t fog up easily – just give them a quick wipe in between sets to keep them clear. 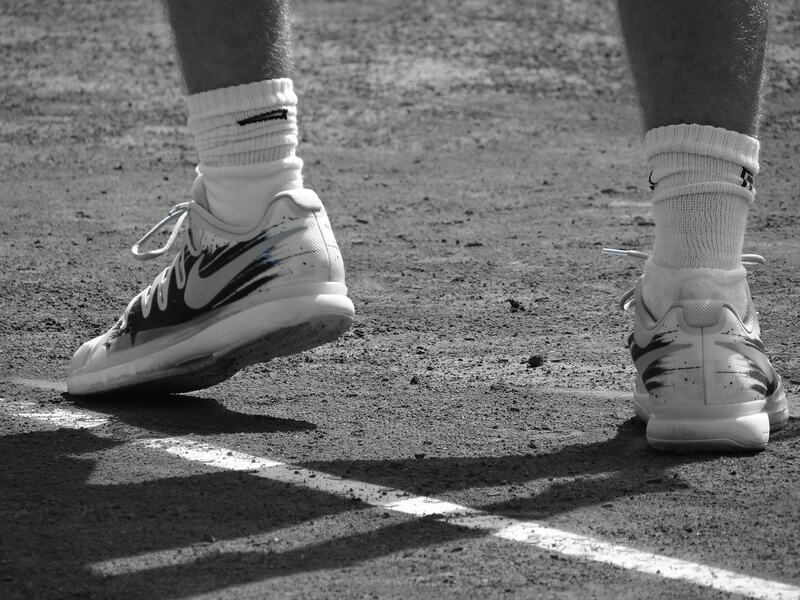 For the price, the Tyrant 2.0 is an excellent choice for tennis players. It’s comfortable, durable, and offers superb protection against UV light. Comfortable – adjustable nose and earpieces. Unlike the Tifosi Tyrant glasses we just looked at, the Under Armour Igniter features polarized lenses. This will help to further reduce glare, particularly when light reflects off of other surfaces. If there’s a lot of glass or concrete near your court (or it’s located right next to a lake…) polarized lenses are incredibly helpful. Under Armour’s sunglasses block 100% of UV light, including UVA, UVB and UVC rays. The lenses are also made of shatterproof polycarbonate, meaning they won’t crack if you drop them. Plus, these glasses come with Under Armour’s patented Multiflection coating, which helps to prevent smudging and scratching. End result: you can play without any visual distractions. The Igniter also comes with an adjustable nose pad, a protective case, and grippy earpieces. They won’t fall off mid-match, even if you often make sharp changes in direction. Considering how well-made these glasses are, the price is fantastic. We can’t fault Under Armour here – these are amazing sunglasses for tennis. Polarized – eliminates nearly all glare. N/A – excellent sunglasses for the money. Buying cheap tennis sunglasses can be a bit tricky. Generally, if you opt to pay less you get poor UV protection, flimsy frames, and no polarization. However, these Duduma glasses are actually quite well-made. They block 100% of UVA and UVB rays, have sturdy temples and earpieces, and come with polarization. Despite this, they’re incredibly cheap. So what are the downsides to paying so little? The lenses can fog and/or smudge fairly easily – you’ll need to wipe them regularly. They can crack if you drop them. However, Duduma offers a lifetime warranty on the lens and frame. You can’t adjust the nose pad or earpieces, so they’re not incredibly comfortable. However, these sunglasses do a good job at reducing glare due to the polarizing layer applied to the lens. They also come in a heap of different colors – it’s easy to find a style that you like. Ultimately, if you’re on a really tight budget, these glasses are your best bet. In saying this, we’d definitely recommend going for something like the Under Armour Igniter if you can afford it. The difference in quality is definitely worth the extra cost. Tons of different styles available. Blocks 100% of UVA and UVB light. Not incredibly durable, but a warranty is available. Not adjustable – can be uncomfortable to wear. If you’re wondering what the pros use, look no further. The Oakley Half Jacket 2.0 is one of the most popular sunglasses among pro players and amateurs alike, because it’s made with tennis in mind. The lens is designed to offer an incredibly clear view of the court, eliminating glare while retaining your depth perception. Oakley also has their own “Plutonite” material which they use in producing their glasses, ensuring that the lenses are shatter and scratch resistant. However, the best thing about these sunglasses for tennis players is how well they stay in place. Oakley’s temple material is engineered to retain its grip even when covered in sweat. As a result, the Half Jacket is incredibly stable – you won’t find yourself needing to push it back up your nose in between points. Although these are fairly expensive glasses, we think they’re worth the money. To win matches you need to eliminate any and all distractions – the Half Jacket 2.0 allows you to almost forget you’re wearing sunglasses. What’s more, you can swap out your lenses whenever you like without the need for special tools. On days when the sun is popping in and out from behind the clouds, the ability to change between darker and lighter lenses is a great thing to have. In addition, you can even use prescription lenses with these sunglasses – but you’ll have to get them custom-made. The only thing we can fault the Half Jacket 2.0 for is the lack of polarization. However, if you try them and find there’s too much glare, you can always change the lenses over. Stays in place incredibly well. Lenses can be swapped out without any additional tools. These sunglasses sort of remind you of an Apache gunship – intimidating, but anonymous. If you’re looking for stylish glasses but don’t want something too flashy, the Radar Shield could be just what you need. Since these are Oakley sunglasses, they don’t just look good – they’re functional too. They block 100% of UV rays and transmit only 11% of all visible light. This means that they have basically zero glare, despite not being polarized. Oakley’s “High Definition Optics” technology is another feature that’s great for tennis. You can see everything that’s going on on the court – it’s possible to even spot spin on the ball while it’s still in your opponent’s half. This allows you to better prepare to hit the return, so you can make more accurate shots on a consistent basis. These are pretty expensive glasses though – you could get the Half Jacket 2.0 for a lot less money. Also, the lenses aren’t as dark as they look in the pictures – they’re more grey than black. 11% visible light transmission rating – basically no glare. These glasses are a little bit more sophisticated than the other options we’ve looked at so far. They come with a hydrophobic coating on the inside of the lens, which helps to prevent fogging. Plus, there’s what Bolle calls a “Carboglas” layer on the outside, to protect against scratches. The lens itself isn’t actually made of polycarbonate like most other lenses. Instead, the company has used their patented “B-Clear” material, which is tougher than basically anything else on the market right now. As you’d expect from sunglasses at this price point, the nosepiece is adjustable, and the lenses are interchangeable. The stock ones aren’t polarized, but you can swap them out if you like. You also get grippy rubberized temples, which do an excellent job preventing movement. On the whole, these are incredibly comfortable glasses. Although the temples look relatively firm, they are easy on the ears. Plus, these glasses come in a number of different colors, and look awesome on the court. Despite being fairly expensive, they’re definitely worth the money if you can afford them. Comfortable – adjustable nose pad. Very durable – lenses are scratch-resistant. Blocks 100% of UVA & UVB rays. Lots of different styles & colors available. In this section, we’ll show you everything you need to know when choosing sunglasses for tennis. Obviously, sunglasses can make it easier to see the ball and easier to see what shot your opponent is about to play when it’s sunny outside. By reducing glare, sunglasses allow you to see what’s happening on the court without having to squint. However, sunglasses also help to block harmful ultraviolet light. Excessive exposure to UV rays can be a contributing factor in conditions such as pterygium and macular degeneration, which can lead to vision issues in old age. Polarized sunglasses offer an extra level of protection against glare. The process works using a special film which is applied to the lens. This filter blocks glare that’s being reflected off of nearby flat surfaces, like glass and concrete. If you’re playing on clay or grass, polarization won’t be incredibly useful, but it might be a nice thing to have. 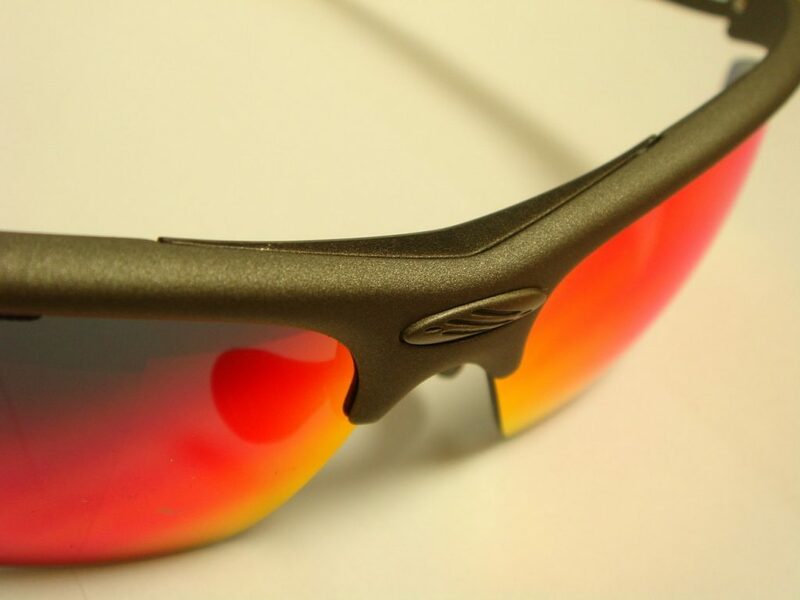 Most sports sunglasses these days wrap around the entire eye, giving you a great deal of protection from the sun. Pro tennis players love them because there aren’t any gaps where glare can seep into their field of vision and ruin their shot. For casual players though, regular glasses with a flat lens are also an option. They tend to look better, and can be cheaper. Plus, you could use them at the beach or when hiking – they’re suitable for a range of outdoor activities. However, they don’t offer as much protection as wraparound options. They can also fall off pretty easily when playing sport. In this guide, we’ve only looked at wraparound sunglasses, as they’re designed specifically for sports like tennis. Will sunglasses affect my game? Most pros have been playing tennis day-in, day-out, since they were little kids. They may have become used to squinting and/or dealing with glare over the course of their junior careers. Some players feel that glasses will affect their depth perception. This is a valid concern, but most modern sports glasses have technology that ensures you see the game just as you would without wearing sunglasses. At the elite level, performance is more important than eye health. Considering how much money guys like Federer make, this is probably fair enough. Pros will do anything to get that edge over their opponent because winning is so incredibly important in elite sport. Despite this, there are plenty of pros who use sunglasses on a regular basis. Samantha Stosur is a notable example. If you get the right pair of sunglasses, they should actually improve your performance. Although they might take a bit of getting used to, sunglasses will make it easier to spot the ball and see what your opponent is planning in sunny conditions. If you can see where they’re going to shoot a few milliseconds before you otherwise would without glasses, this might be the difference between winning or losing a crucial point. What should I be looking for when buying? Polarization. For tennis, this isn’t 100% necessary, but it can be nice to have. Shatterproof lenses – there’s nothing worse than making a really tough shot and having your glasses fall off and break. Good sports glasses can withstand bumps and knocks. UV blocking technology. The best sunglasses out there will block 99-100% of all UV light (UVA and UVB). Low visible light transmission. For good glare reduction, look for something with a 10-25% visible light transmission (VLT) rating. Interchangeable lenses. This allows you to adapt your sunglasses to different weather conditions. Most pros who use glasses will take a few different lenses to each match. Having sunglasses with removable lenses also allows you to use prescription lenses if that’s what you need. Adjustable nose pads and earpieces, for comfort. Vented or hydrophobic lenses to prevent fogging. Grey/smoke lenses offer the best color perception, but they’re not essential. If you prefer other colors, that’s OK – brown, red, green and yellow are also good options. Rubberized earpieces and temples, for grip. Is it worth getting cheap sunglasses? The short answer is… no. The lenses breaking if you drop them. The glasses slipping or coming off completely when playing a strong shot. Glare – if the glasses are designed poorly, they’ll still let in sunlight. Plus, most cheaper glasses won’t filter out much UV light. This can be very dangerous – if you feel like you have protection (meaning you don’t squint as much) but aren’t actually shielded from UV rays, you could do serious damage to your eyes. You don’t need to break the bank to buy sunglasses for tennis. However, it’s definitely not worth buying a $10 pair – they won’t last long and won’t offer much protection. Hopefully you found the right pair of tennis sunglasses! If you’re still not sure what to get, leave a comment below and we’ll respond ASAP.